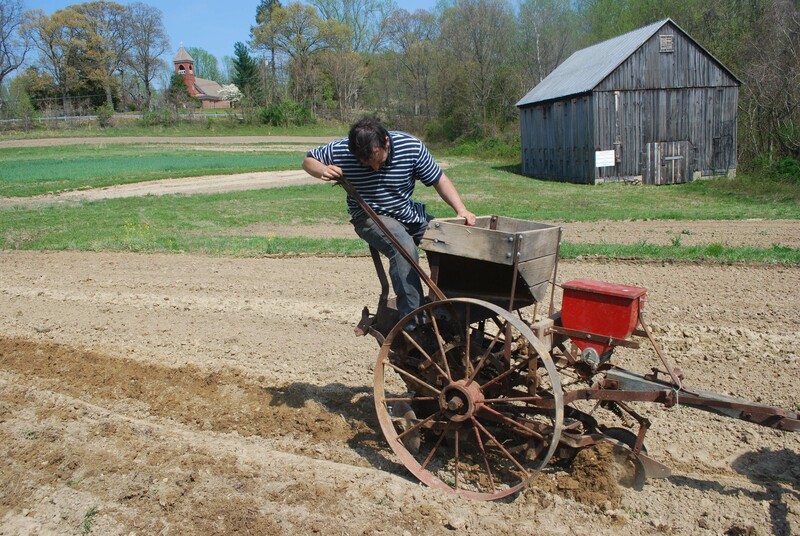 It is always an event when my husband teams up with a neighboring farmer to break out this restored antique potato planter that actually works amazingly well. They are pulling it with a small tractor. The machine digs a trench, drops the potatoes in and covers them up all in one pass. They are planting fingerlings and purple potatoes today. It is great fun to watch this machine in action, and the children found it especially fascinating. Since we used to plant potatoes by hand and know what a slow process that can be, it is a bit miraculous to watch it happen so easily. It might be equivalent to the magic of using a sewing machine for the first time after hand stitching. 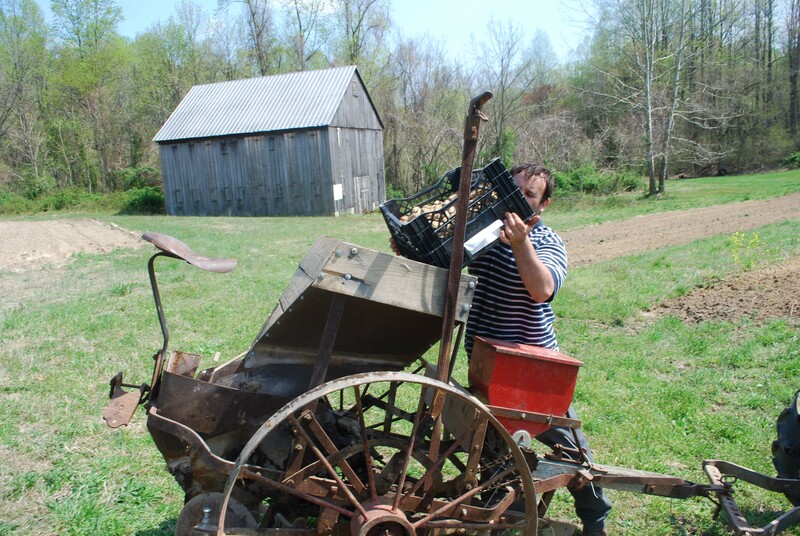 Here is one more shot of the machine being loaded up with yet another batch of potatoes. May they grow as easily as they were planted! farming. potato planting, fingerlings, food, gardening, planter. Bookmark. Nice! They must have finished by the time I drove by yesterday. I planted my potatoes by hand a few weeks ago and last night saw the first two poking up through the straw. First time doing it this way. Love potatoes! Love latkes! Love Kinishes! sorry we missed you — but there will be another planting, I will let you know. You reminded me to go and check my potato plants and I’m delighted to see they have come through at last. We are having the coldest spring for 30 years here in Switzerland. Planting on a much smaller scale than you but we will have some of our own potato salads this summer with strawberries for desert! Thanks for visiting my blog. Nice to have discovered your site. thanks for the visit! I look forward to learning about your farm!